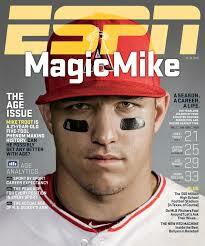 ESPN Magazine 1-Yr. Subscription $0.19 an Issue!! ~ Great Father’s Day Gift! If you are looking for a Father’s Day gift for the sports enthusiast in your life, have I got a great deal for you! DiscountMags.com is offering a HUGE discount today on ESPN Magazine. Grab a 1-yr subscription (26) issues for just $4.99. That is about $0.19 an issue!! Click HERE to grab your subscription and use Promo Code: 9432. Previous postMain Event Entertainment Memorial Day Weekend Special! Next postSTORY SNOOPS ~ FREE TOOL TO HELP CHILDREN & PARENTS WITH BOOK CHOICES!